A modern and gracefull explorer. 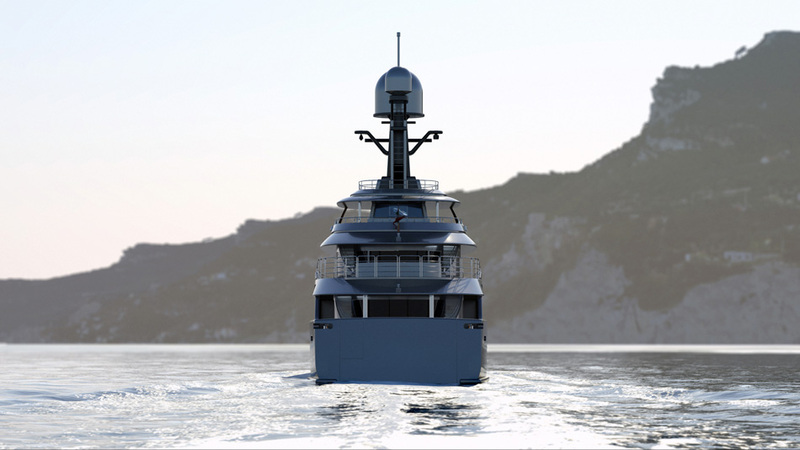 This truly graceful explorer yacht offers modern lines whist keeping the elegance of a classic motor yacht. 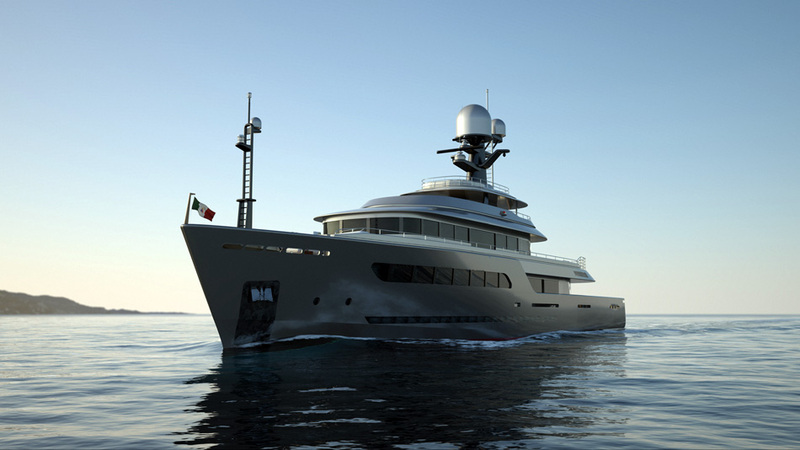 The design brief given by the client was to produce a modern yet classic explorer with elegance and grace. 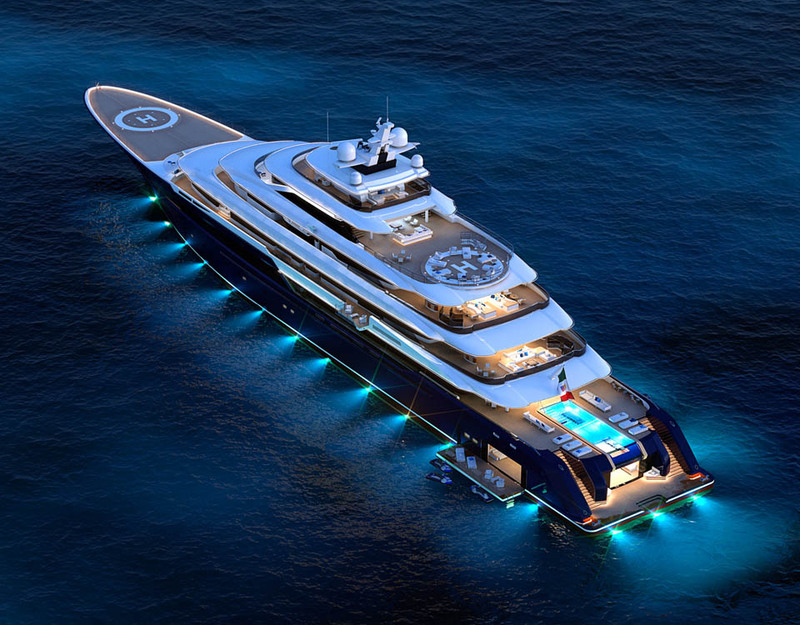 She had to travel the world in complete comfort and be able to handle whatever the sea throws at her. Adding the huge rounded aft doors to enter the saloons opens the interior to the exterior seamlessly and still offers incredible views when closed. 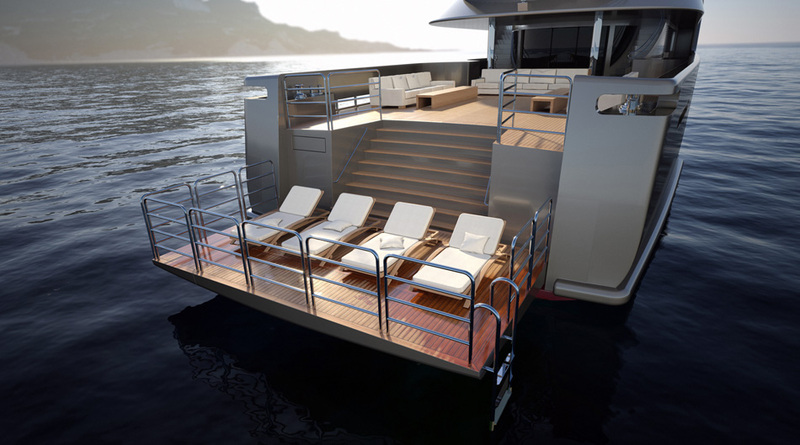 The folding aft hatch / beach club when open offers the owner and guests a vast outdoor entertaining space. 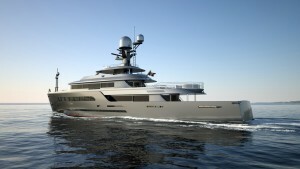 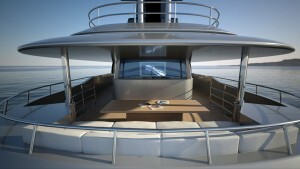 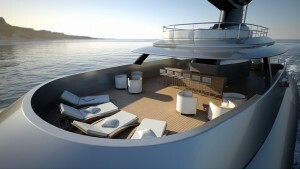 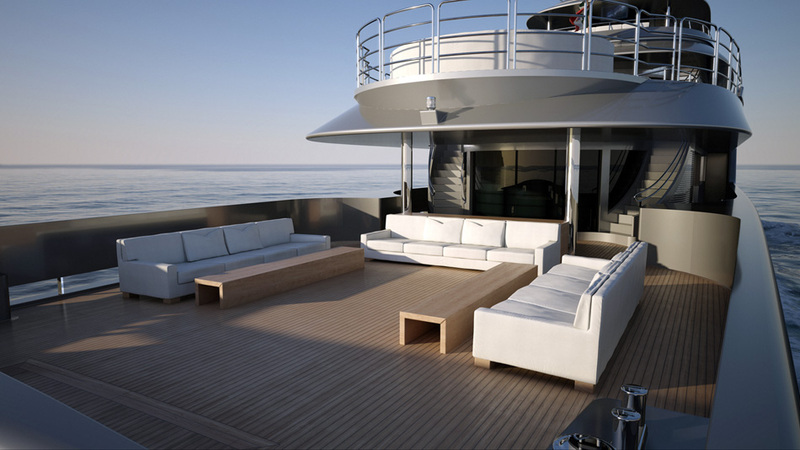 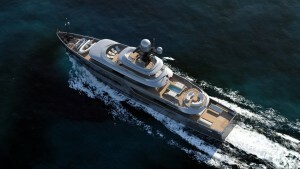 Clean Modern Design, Folding aft hatch/beach club, crow’s nest, heli-pad. 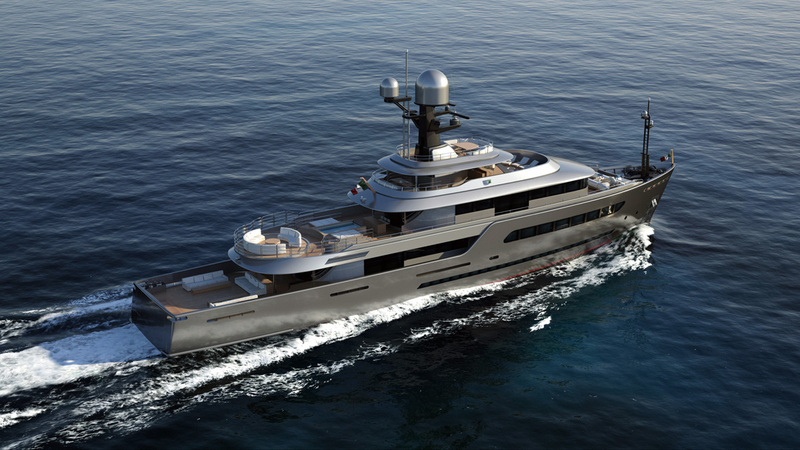 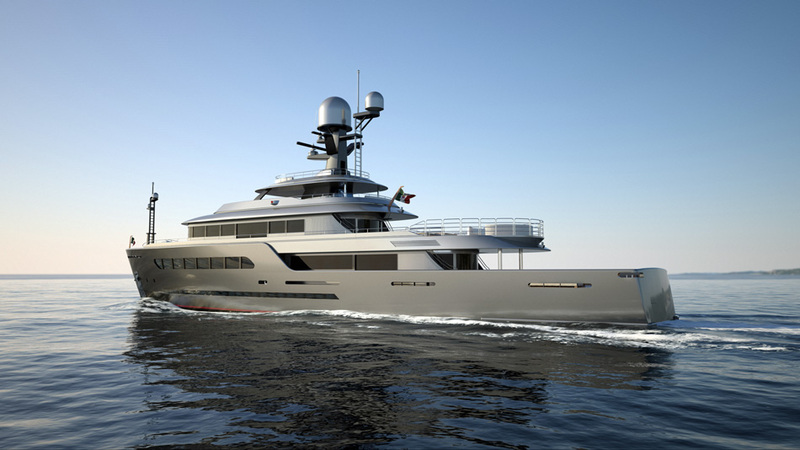 The design is particularly successful as we managed to merge the clients requests with new ideas such as the opening aft hatch for easy access and embarkation to tenders. We managed to keep the classic feel of an explorer vessel, but with adding the large strip windows and folding balconies for the modern touch.